1977. The Queens Silver Jubilee and the year Elvis died was also the year I came to Telford. I can still recall tiny details of life on Stirchley, including how pristine the play equipment was, how smooth the paths surface and how clean and bright the houses, garage doors all the same shade of green and not a glint of uPVC in sight. Nearly forty years on (good grief) and many areas of the town are feeling their age. The old MERC (Madeley Educational and Recreational Centre) or Madeley Court didn’t even last forty years. Built, used, demolished and now home to KFC & Aldi. Sutton Hill’s white cladded houses a distant memory, bar the odd one or two monuments to low cost, quick build housing. On many of the ex-council estates the houses, sold off long ago to residents or buy-to-let landlords, are a mish-mash of houseproud home makers or families that you only hope to encounter on a Channel 5 documentary. The paths, dug up for broadband, water, gas and electricity many times, can no longer be deemed the motorways for skateboards as they were in my youth. 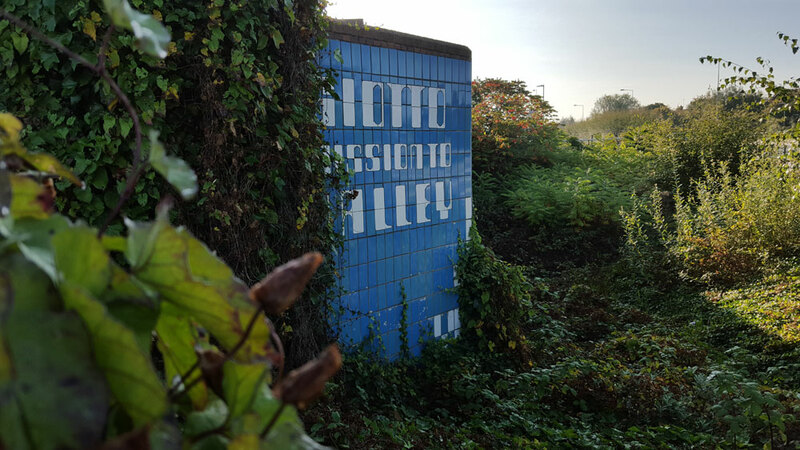 Telford & Wrekin Council keen on regenerating these estates, some of the most deprived in the county, are firing money on rebuilding local centres in the likes of Malinslee, Hollinswood, Sutton Hill, Woodside & Brookside. Tearing down the local pubs like The Woodcutter & The Shropshire Lad where many of us can lay claim to having our first underage pint, to build community centres and new shops. Making them shiny once more. Photos taken in September 2015. The graffiti-style mural was a later addition. The one I remember from my youth was the circular design which was vibrant oranges and whites. I wonder if there are plans to restore this post-regeneration, or remove it completely? The Giotto Space Mission launched in 1985. This tile mosaic then commemorates the launch has a much older feel to it, and is looking in a sad state. 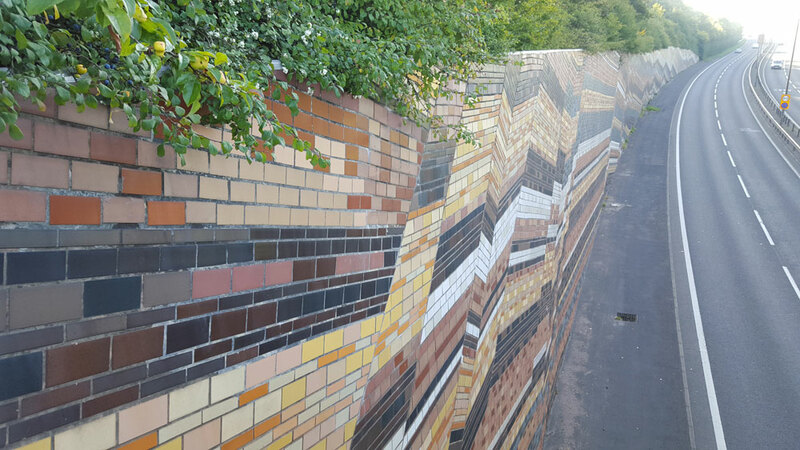 The underpass that the mosaic adorns has long been filled in and resembles a scene from Planet of the Apes as nature takes over. 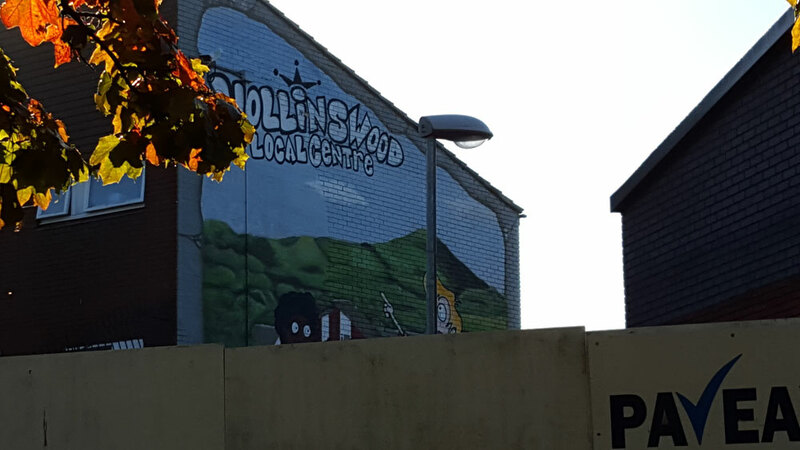 The satellite depicted here has been removed by vandals. Photos taken September 2015. 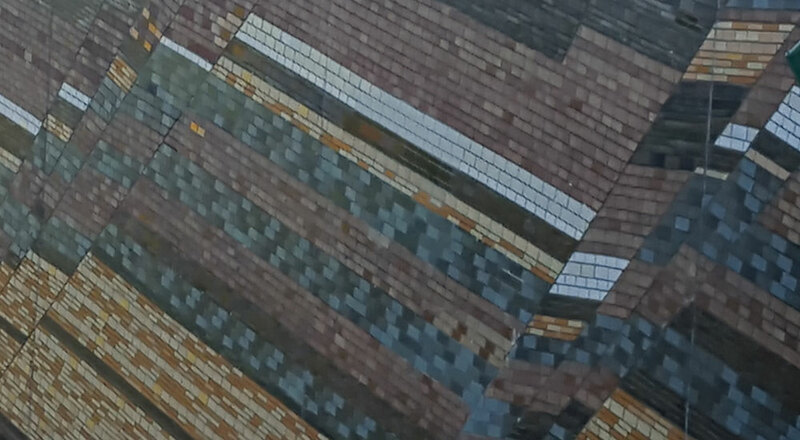 This iconic mosaic representing rock strata is probably here to stay. This artwork achieved national and possibly international fame when it was the backdrop to a luxury car advert in the late 80s early 90s. It was either BMW, Volvo or Mercedes, if you know or have a copy, please get in touch via the comments below. Photos taken September 2015. 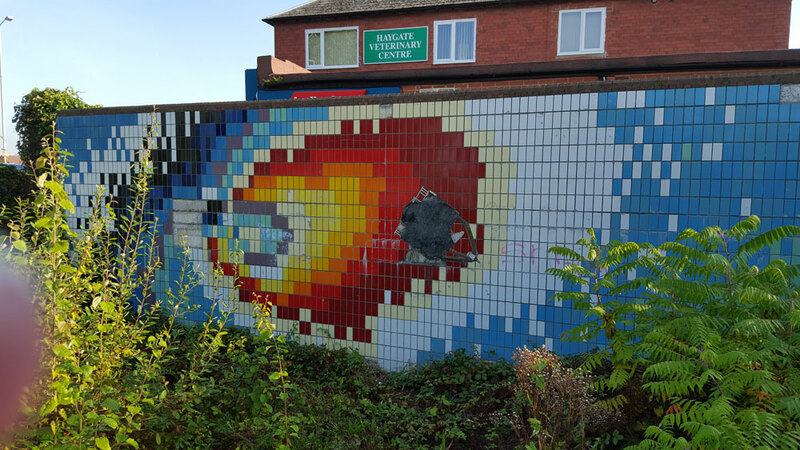 Do you know any public art under threat of fading away in Telford? Were you involved in any of these projects of have any memories about them? Leave comments below. advert was for a BMW 5-series E28. 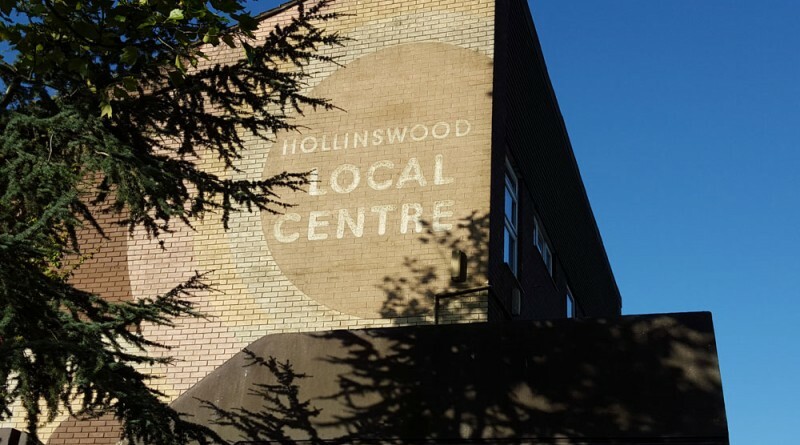 What about the weird green sculpture in the old Hadley centre?